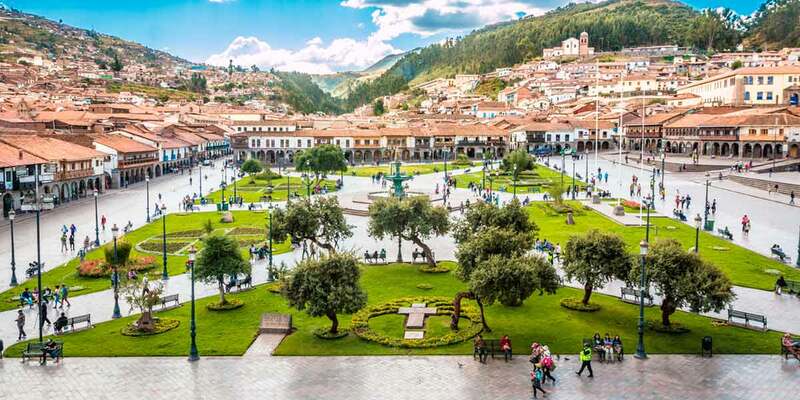 Cusco, known far and wide as the former capital city of the Inca Empire and the gateway to Machu Picchu, was officially declared a UNESCO World Heritage Site in 1983. 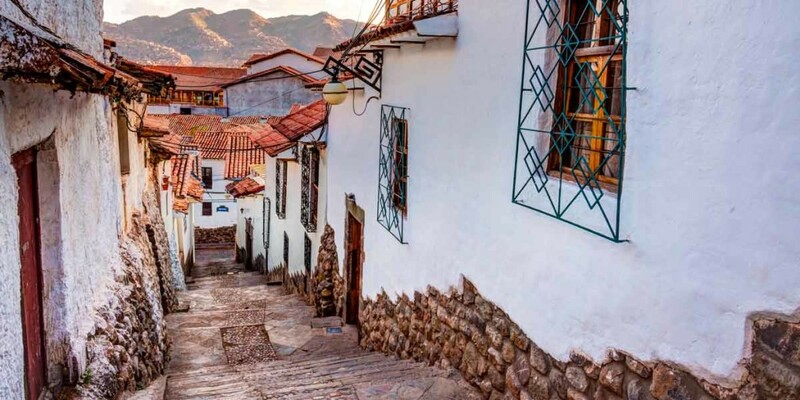 Its unique blend of Incan and colonial architecture is still apparent to this day, tipping a hat to the history that has unfolded in this ancient Andean city since the 13th century. Cusco sits at an elevation of 3,400 meters (11,150 feet), a breathtaking height by anyone’s standards. During Incan times, the location was actually considered the center of existence, or the axis mundi, meaning a place where Heaven and Earth connect. 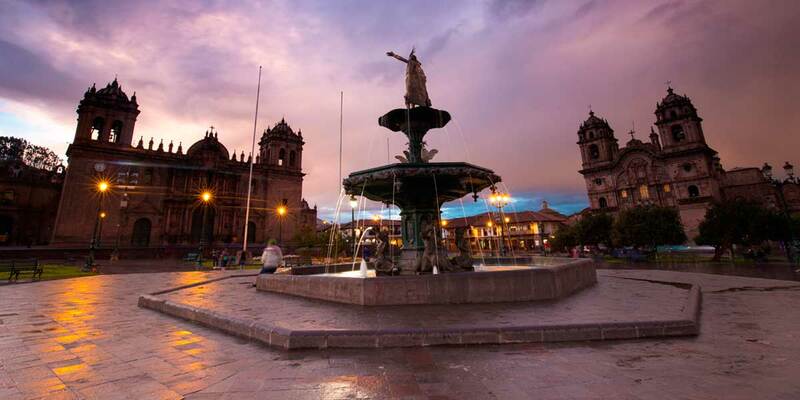 Originally built on pre-Incan structures, the Inca Pachacuteq commisioned the redesign and remodel of the city in the 15th century, transforming it into a complex urban center with distinct religious, administrative, agricultural, artisan, and industrial sectors. Some scholars believe the city was laid out to take the shape of a puma, the symbol for Inca might, with the Plaza de Armas lying right at the puma’s heart. The Qorikancha was the most sacred shrine of the Incas dedicated to the worship of the sun, whom they called Inti. It was the center point for the entire Empire toward which all Inca roads led. When the Spanish conquered the city in 1532, the temple was converted into a Christian church and monastery. Today, original masonry from the Inca era is still visible beneath the baroque architecture built on top of it. While the Qorikancha displays a form of Incan construction saved only for the most sacred of Inca spaces, other buildings around Cusco’s Plaza de Armas still bear the signature of the Incas – perfectly fitted mortarless stone structures that have withstood time and earthquakes, while outlasting many Spanish constructions built a century later. The 12-angled stone on Hatun Rumiyoq Street demonstrates their technique of shaping stones to slot perfectly together, oftentimes resulting in many-sided stones. This method allowed their buildings to move slightly without falling apart, an important feature in a seismically active area. By the 16th century the Spanish had invaded and adapted many of the Inca’s constructions into a more familiar baroque style. 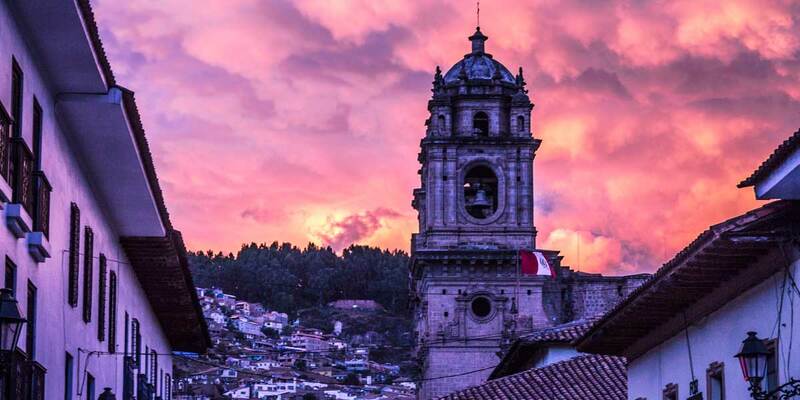 This hybrid of Inca and colonial architecture is still visible today and is one of the central reasons UNESCO declared the city a World Heritage Site. Don’t miss a stop at the former heart of the Andean world during your Peru tour. For more information and insight into visiting Cusco, contact a Kuoda Travel Designer today.